IFA, one of the biggest tech trade shows of the year, just took place earlier this month. The event was held in Berlin, and we saw a heap of new devices that were officially announced. Some of these announcements were quite exciting, while others left us wanting more. 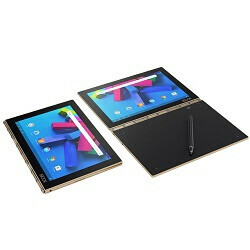 Among all of the products that were unveiled, one of the most interesting ones was easily Lenovo's Yoga Book. The Yoga Book is being marketed as a sort of notebook, but offers this unique combination of both a laptop and a tablet. It features the body of a laptop, but rather than housing a physical keyboard, the bottom portion of the Yoga Book is entirely glass. A keyboard can illuminate on the glass if you want to type, but you can also use it to write notes with the included Real Pen that Lenovo is bundling with it. That Real Pen also has real ink inside of it, so if you place a real notebook or piece of paper on the Yoga Book's bottom surface and write on it with the Real Pen, your physical writing will actually translate directly onto a virtual notepad on the screen. It's something straight out of a science fiction movie, and it looks like we might not have to wait too much longer to get our hands on it. 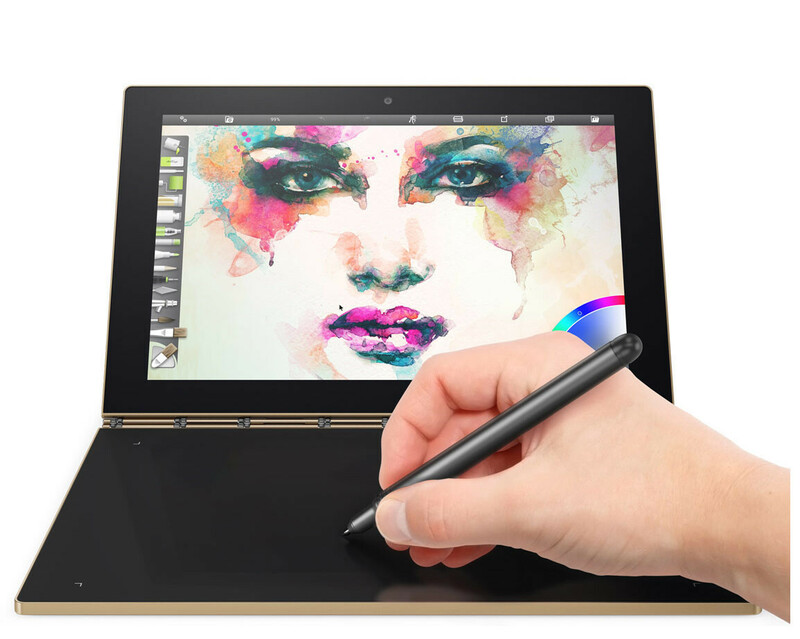 In you happen to live in the United Kingdom, Lenovo has now officially opened up pre-orders for their Yoga Book. Pricing for the device starts at £429.99 for the model running Android 6.0 Marshmallow, and that translates to $569.40 USD. If you want to opt for the version of the Yoga Book that runs Windows 10, the price will jump up to £509.99 ($675.34 USD). If you decide to get the model running Windows 10, the Lenovo site is currently saying that it should be delivered to your doorstep in about 11 business days. However, if the Android flavor of the Yoga Book is more your taste, expect your gadget to arrive in about 4 weeks. Additionally, each Yoga Book will also come bundled with the Lenovo Real Pen, ink refills for the writing utensil, and an official Book Pad and Paper for writing physical notes with the Real Pen. As a quick recap, the Yoga Book's internals include an Intel Atom processor, 4GB of RAM, 64GB of expandable storage, and a 10.1-inch IPS LCD display with a resolution of 1920 x 1200. Those certainly aren't the most impressive specs for a device in this price range, but what you're really paying for is the overall uniqueness that the Yoga Book brings to the table. This kind of product is the first of its kind, so we can't yet say as to whether or not it will be worth its retail price. Thankfully, it looks like we won't have to be waiting too much longer before we get to make our final judgement. The Windows 10 variant definitely got my attention!